And guess what!! 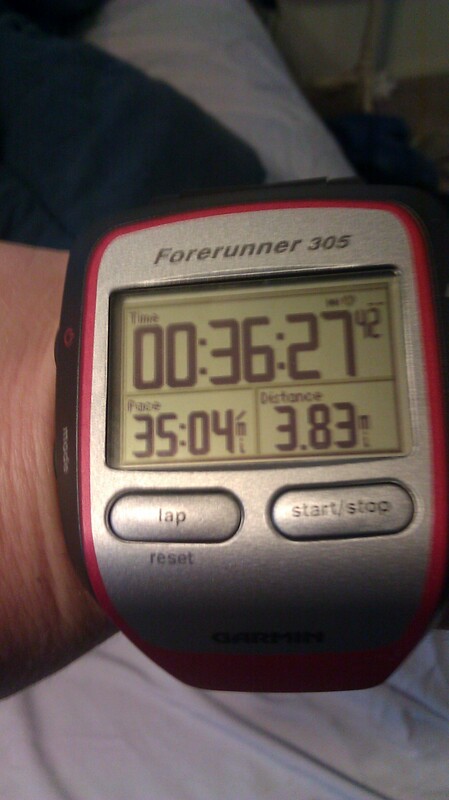 I got my Garmin in late September. 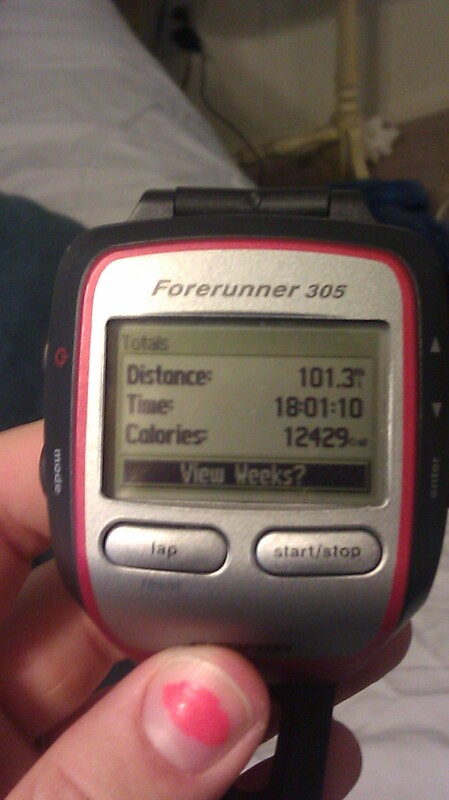 My first run was September 26th and today I hit 100 documented miles!!!! After my run I hurried over to my physical therapy appt. On Friday she mentioned that she wanted to have one of the other therapists perform a scraping technique on me. What? SCRAPE? That sounds awful. I asked if it hurt and she played it off like it was maybe minor pain and then said “Well, some people bruise.” Bruise???? So when I got there today, she informed me that ready or not the scraper was coming. Oy!! See that tool in his hand? He's going to use it to scrap the crap out of my leg and foot. Here I'm pretty sure I was actually crying a little. Don't judge me. The technical term for the procedure is Astym (A-stimulation). The theory is that it releases scar tissue and promotes healing. I even found a video on youtube, except the video doesn’t show the patient jumping out of their seat in pain. They must not have legitimately been doing the therapy. I had it done on my left calf, achilles tendon and the bottom of my foot–that was the weirdest spot because it tickled and hurt at the same time. I am one of those people that twists and laughs uncontrollably during a pedicure. This was not a pleasant tickle though. Not at all. But, to be honest, if it even gives me the hope of being able to run, dance, and live my life without my tendons giving me pain, it will be so worth it. I haven’t been without pain since high school, so it would really be incredible. Have any of you ever had this done? What’s the weirdest medical thing you’ve ever experienced?